Saute onions. 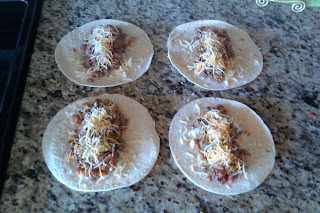 Add chicken (or beef), garlic powder, salt & pepper, and 1/4 can enchilada sauce; heat until warm. 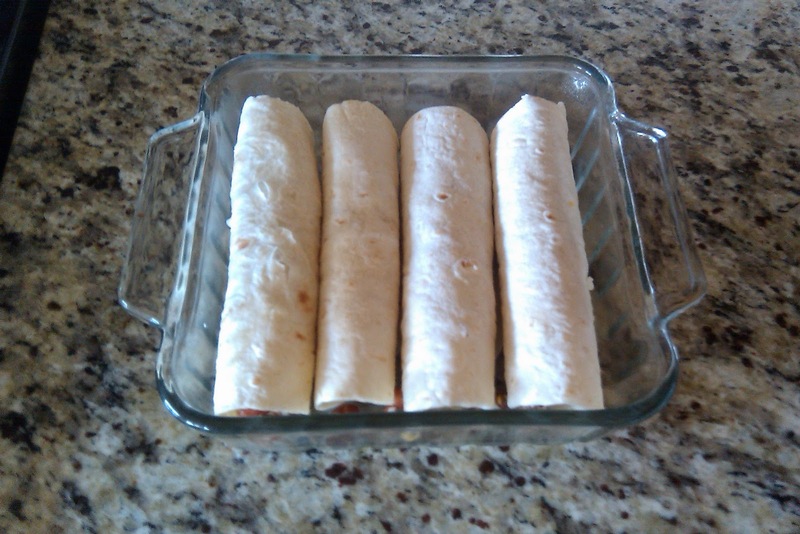 Spoon into tortillas, tuck ends under, and lay in a 8x8 pan greased lightly w/cooking spray. Heat butter and flour for 2-3min, add milk slowly. Heat until thick and bubbly. Remove from heat, add sour cream, and stir until melted. 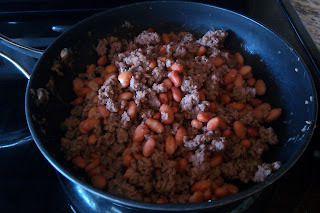 Pour mixture over enchiladas. 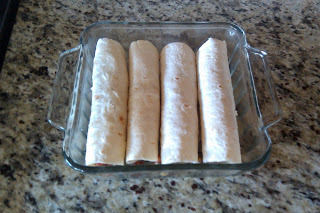 Top with remaining can of enchilada sauce. Top w/cheese. Bake at 375 for 30min.